What will the markets return in the next 12 months? Should investors expect 20% gains per year in the future? Will the markets correct by more than 10% in the next six months? We frequently encounter these types of questions at CLS for good reasons. Our investors have objectives and goals they strive for, and they want to know if they will arrive at their destinations as planned. 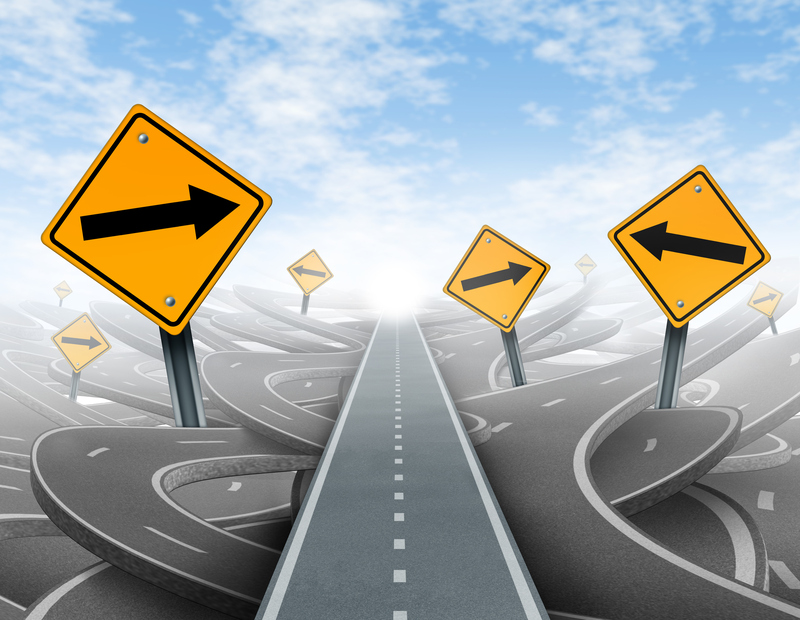 It’s important for them to know when they’re working with long investment horizons, they generally can reach their destinations, but they will usually experience uncertainty along the way. The reality is that although stock returns have historically been positive, the path they take can sometimes fill investors with either excitement or dread. In essence, the destination is dependent on the journey. What exactly do I mean by this? Let’s say, for example, an investor has $100 to invest in the market and would like a risk profile consistent with global stocks. Assuming CLS’s 12-month return expectation for global stocks (as of this writing, about 2.97%), let’s see what happens if we simulate 500 alternative paths of what that $100 could become in one year. The chart below illustrates our experiment. On average, the investor would have about $103.13 or a return of 3.13% after 12 months. 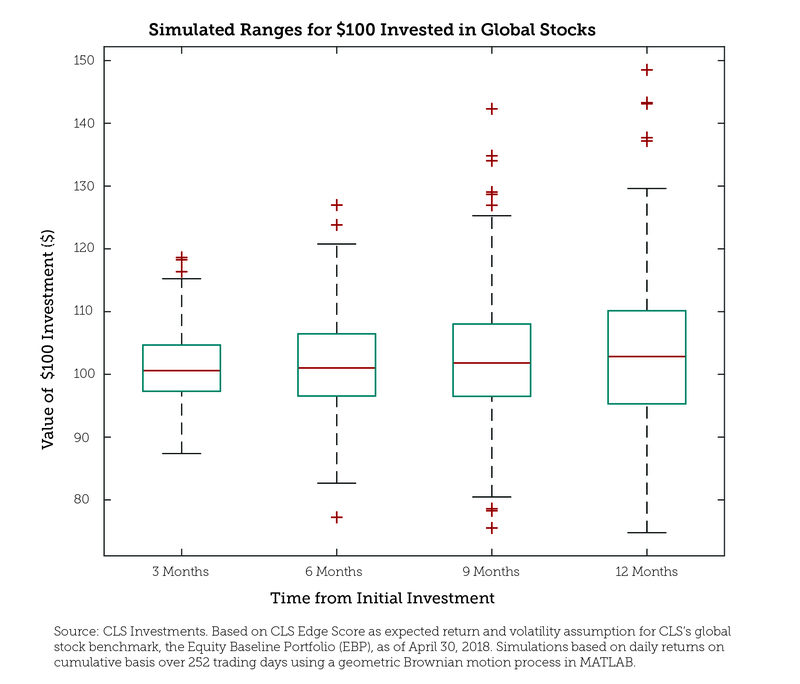 This is generally consistent with CLS’s expected return for global stocks. However, the ranges of possible totals are wide. In some cases, the final value of the investment is much higher than $103. In other cases, the investor is worse off from where he or she started, ending with much less than the original $100. However, the comfort investors should take from the results is that the more extreme outcomes carry much lower probabilities of being realized than our general expectation for global stocks. At CLS, we believe investors should always think in terms of odds and probabilities of what could happen versus taking the most likely expectation as just given. This is important to help manage one’s own expectations and emotions as the market hums along and takes unexpected twists and turns. A probability-based framework can also help investors stay on track toward their destinations without feeling as surprised by what their journeys may hold.